The single docks at Country radio today via PLAY MPE and is available for pre-order and Spotify "pre-save" now, and for purchase across all platforms on Friday, April 12. "Sunshine" premiered yesterday on The Country Note. The writers met up in the chill of January, and all three were longing for warmer weather. "The first verse almost wrote itself," recalls Natalia. "Stephen and Eric immediately created a great, upbeat groove that was perfectly jamming to the theme, so running with it and telling a story of that vacation to escape felt natural. We love it and hope we'll get to meet up with Love and Theft on the road again soon so we can sing it together live." Natalia (principal songwriter, guitarist, lead vocalist), Christina (drums) and Hannah (bass) are SOUTHERN HALO. Since their hypnotically-upbeat Country radio debut, "Little White Dress," caught the attention of U.S. radio and press, this sibling trio has broken down doors and shattered glass ceilings. 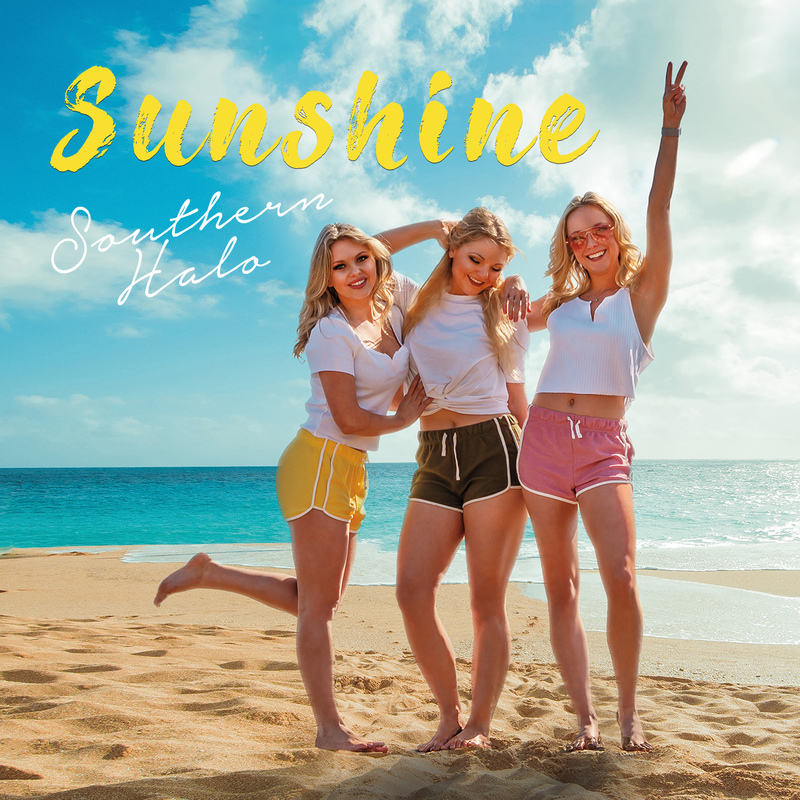 Follow up singles, including "Rewind" and "Living Like That," from the group's CD, SOUTHERN HALO (2015), further bolstered the group's profile. The band has opened for Maren Morris, Phil Vassar, Deana Carter, Love and Theft, Brantley Gilbert, Eric Paslay, Tyler Farr, Parmalee, Old Dominion, American Young, Blues immortal B.B. King and legendary chanteuse Dionne Warwick, and many others. The Cleveland, Mississippi natives have performed at a pre-show on the rooftop terrace of the Grammy Museum in Los Angeles, kicked off the Backstage Pass Series at the Grammy Museum Mississippi, launched Townsquare Media's Say It With Pepsi Concert Series, and toured on the Spring/Fall 2018 High School Nation Tour. They entertained fans at CMA Music Fest 2018 and 2016, and have twice toured the U.K. Their 2018 album, JUST LIKE IN THE MOVIES, garnered two Top 25 MusicRow CountryBreakOut™ chart and Top 45 Billboard Indicator chart hits. When they are not on the road, the Morris sisters now call Nashville home.